إذا كنت تبحث عن عقار بموقع جيد في المدينة، فقد وجدت ضالتك في The Waterford on Main Beach. لا يبعد الفندق كثيراً عن مركز المدينة، فهو يقع على بعد منها. في حين يستغرق الطريق منها إلى المطار حوالي دقيقة. يوجد العديد من المعالم السياحية الأكثر جذبًا للسياح في هذه المنطقة. إن الخدمات الممتازة وحسن الضيافة العالي في The Waterford on Main Beach تجعل إقامتك تجربة لا تنسى. يمكن الاستمتاع بمجموعة من الخدمات على أعلى المستويات في الفندق كمثل مطبخ, تسجيل وصول/خروج سريع, تخزين الأمتعة, واي فاي في المناطق العامة, صف السيارات. في الفندق غرف نوم يتجاوز عددها 13، كلها مجهزة بعناية وجمال وبعضها مزود بـ تلفزيون بشاشة مسطحة, حمام إضافي, مرحاض إضافي, غرفة ملابس, بياضات. يمكنك طلب اللائحة الكاملة للخدمات في الفندق ومن بينها حوض استحمام ساخن, ساونا, مسار جولف - ضمن 3 كم, حمام سباحة خارجي, صيد السمك. يشكل The Waterford on Main Beach بخدماته الراقية وموقعه الممتاز، قاعدة مثالية للاستمتاع بإقامتك في المدينة. يُرجى ملاحظة أن هذا العقار لا يقبل وصول النزلاء بعد الساعة 08:00 مساءً. لذا، تأكد من إدخال وقت وصولك عند إجراء الحجز. We were thrilled when the lift doors opened to reveal a spectacular 3 bedroom apartment with the most stunning views of the ocean. I can't imagine staying anywhere else now that we've had such a great experience here. Second time booking this place. Fantastic view of the surrounding, including the sea and Surfer's Paradise. Fuss free check in. The only problem is that our family was allocated a very challenging carpark lot for our family MPV. Furniture and curtains in the rooms look dated. Overall, it was a good experience. Worth every penny we paid for. We have been staying on the Gold Coast for years - why did I not stay at Waterford On Main sooner. The most outstanding view of the Gold Coast I have ever seen. Fantastic relaxing location. Highly recommend. As Molly Meldrum would say, "Do yourself a favour." The view from the apartment was really nice and the apartment was very new. We love it very much. Amazing ocean views. We can even hear the waves sound while sleeping. We would love to come again. From the time we got there and meet the owner it was just the best time and made to feel very welcome. we stayed in an ocean view 3 bedroom and just wanted to stay there the whole time and relax. Far enough away for surfers but close enough to walk if interested . 5 mins away from excellent cafes and restaurants on Tedder ave and the marina which also has great shops and places to eat. Perfect spot with perfect views ..
One of the core points that stood out to us were the great and kind hospitality Lily and Ross showed us during our stay here at The Waterford. Both Lily and Ross greeted us at the reception during our checkin and were ever so kind to help us with all of our queries/qualms about the area. The apartment was truly beautiful and was well equipped. The view was simply gorgeous and it has made our stay here in the GC an even more pleasant one. All our friends and family who saw the pictures were in awe! Thumbs up and highly recommended! Car park was extremely small! passenger side people had to exit vehicle before parking ( and the carpark is extremely tight anyway) Amazing view with HUGE balcony. Great location. Some of the doors didn't close properly but it was not a new apartment so probably wear and tear. At the discounted price that I paid I would definately return again to The Waterford on Main. Thank you Lily (manager) for keeping us informed of any vital information. My family loved our holiday at the Gold Coast. This apartment is excellent. Overlooking the beach - just across the road, spacious, fabulous views and sun, huge deck, and walking distance to the tram or buses. It was excellent for us attending a conference, but it would also really work well for families. It has an excellent kitchen, dishwasher, good fried, laundry facilities etc. We book 2 bedroom apartment stay for 6 nights. Only master bedroom and living room is airconditioning . The other is only provide stand fan. Luckily the time we go is not too hot and still acceptable. The apartment is just right opposite the main beach. Recommend to spend some time to beach for a walk. This hotel is the best! View was INCREDIBLE, from every room. Location is great - quiet but still close to everything. It was awesome to be able to go to sleep listening to the ocean - if we could afford an apartment in this hotel, we'd move in! 10/10!! We stayed in these apartments for 2 weeks. Apart from the cleanliness of the apartment and the furniture the apartment was great. 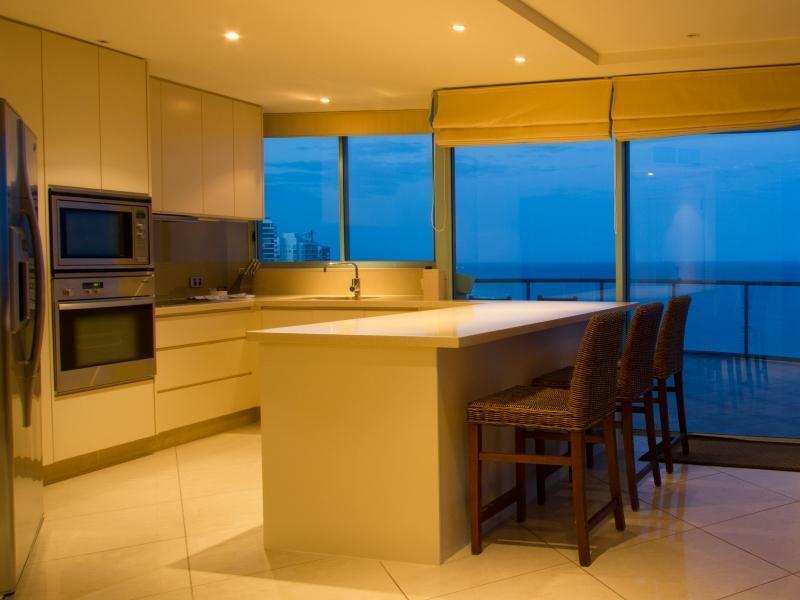 Views of Surfers Paradise are second to none. we had a relaxing stay and the beach is just across the road. the pool areas is clean and secure and great place for taking kids. 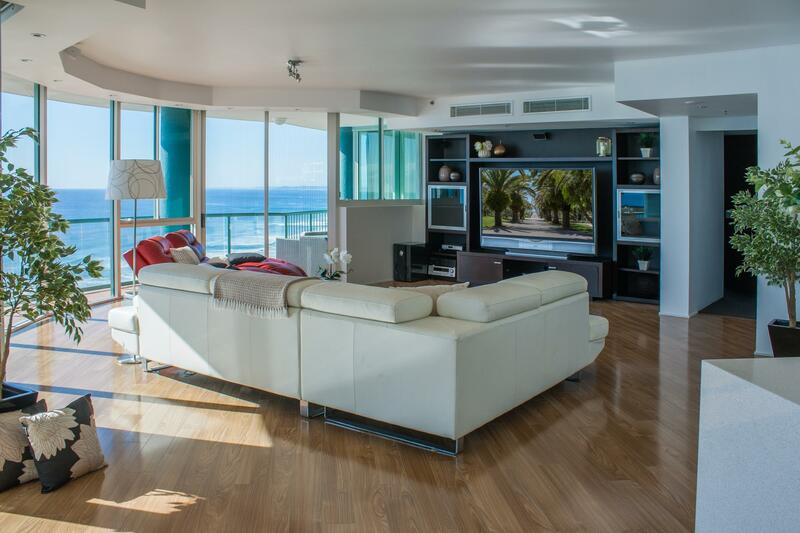 the views are spectacular and the 3 bedroom apartment was very roomy with all amenities available. Wish I could've enjoyed more the comfort and relaxing view maybe more time in the beach 🏊🏄 . The apartment was brilliant with my young family . Will recommend to friends and family!